The Nilaqua brand is part of the Waterless Limited company. Waterless Limited is the UK Manufacturer of a wide range of Towel Off Bathing & Hygiene products. Based in rural Gloucestershire, our offices are located in a scenic 200 year old mill providing the ideal location for our team to develop and create award winning concepts. We pride ourselves on being an ethical company, bringing business back to the UK. We Supply a ‘Personal’ service, something which we think is paramount to developing long term relationships. It is this personal service, along with our flexibility and professional values that make us a leader in the Personal Care market.In 2014 our hard work was rewarded when we won best skincare and toiletry product at the renowned Pharmacy awards. 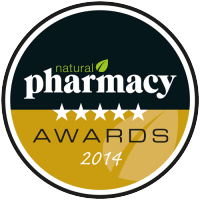 In 2014, Waterless won the Pharmacy Awards. In 2015, Waterless Limited won part of a large bathing contract supplying the NHS with our innovative soaps and shampoos. Waterless products not only allow you to wash bed bound patients easily and effectively but have the added benefit of promoting dignity, independence and hygiene, all whilst saving the NHS valuable money and improving patient care. 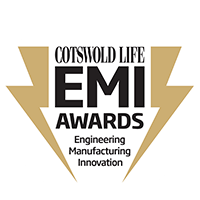 We were also honoured to be nominated in the EMI Awards for Manufacturing Genius. We thoroughly enjoyed the ceremony. You may have even seen our management staff featured in Cotswold Life! in 2017 Waterless then expanded into a second sales premises in Swansea, Wales.